I am not one for being organised and getting all my Christmas presents in advance unfortunately, so you may find this post a little late!? But if you are like me then it may be quite inspiring and help you choose the perfect gift for the your perfect yummy mummy. Or what to ask for if you are one yourself! 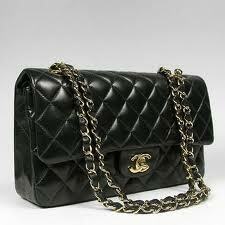 Firstly anything Chanel! This ranges from a 2.55 bag to a lovely new lipstick....A little or large treat that one is reluctant to buy for themselves but ever so pleased to see sitting under the tree. I just have to quickly tell you about the Little White Company clearance line! I love the White Company and my friend told me about their clearance section on their website the other day and there are some great bargains to be had across all departments, not just the Little one! Things for your home, bed linen, towels, candles, with new lines being added and up to 60% off which is just fantastic. Annabella, James and I recently did a shoot for Baby Surrey and Baby London magazine, featured in the current Winter issue, and as you can see the images produced are absolutely priceless! Our photographer, Matt Pereira was awesome and absolutely worthy of his multi award winning status. He had been shooting families and babies for a few years now and is the resident photographer for the magazine.